MilliporeSigma announced today that the company will sponsor the Startup Program at LabCentral, a biotechnology incubator, in Cambridge, Massachusetts. LabCentral is a private, non-profit organization that provides entrepreneurs and innovative life-sciences startups with lab space and resources to nurture the next generation of biotech companies. It comprises approximately 125 scientists and entrepreneurs. MilliporeSigma’s collaboration with LabCentral, like its ongoing Emerging Biotech grant program, gives biotech startups access to process development tools, education programs and training to support their success and strengthen the biotech community. 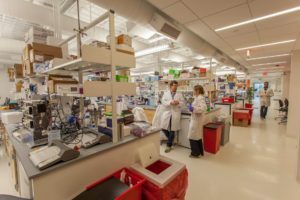 As a sponsor of the LabCentral Startup Program, MilliporeSigma will “adopt” a startup company which entitles the selected company to a priority spot and one-year prepaid lab bench in LabCentral’s shared laboratory workspace. Program rules and submissions. Submission close is July 2, 2017.